With You In Mind has been nominated for Best Jazz Album at the San Diego Music Awards. The event is to take place at the Viejas Concerts in the Park on Thursday September 10, 7PM. For more information, visit www.sandiegomusicawards.com. Called “a brilliant musical statement” by jazz critics nationally, pianist Danny Green celebrates his debut release, With You In Mind, and brings his unique blend of jazz and world music rhythms music to Anthology on Wednesday, March 11, 2009 at 7:30 PM. The band features Justin Grinnell (bass), Dylan Savage (drums), Tripp Sprague (sax) and special guest guitarist, Peter Sprague. Tickets start at $11 and can be purchased online or through the box office at 619-595-0300. Anthology is located at 1337 India Street, San Diego, CA 92101. 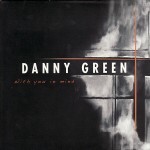 Pacific Coast Jazz recording artist Danny Green’s new debut release With You In Mind is now available in retail outlets worldwide! The album features Justin Grinnell on bass, Dylan Savage on drums, Tripp Sprague on Soprano Sax, and Allan Phillips on percussion. Consisting of 10 originals and one cover by Danilo Perez, this album provides a great mix of Brazilian and Latin Jazz. With You In Mind is getting quite the attention. Green’s first week of radio airplay put him at #18 on Jazz Week charts and his reviews have been praising this new young talent. San Diego, CA – October 9, 2008 – San Diego-based independent record label, Pacific Coast Jazz (PCJ), announces the addition of San Diego-based Brazilian jazz pianist, Danny Green, to their roster of distinctive artists. Green’s own independent label, Alante Recordings, will now be an associate label under the Pacific Coast Jazz umbrella. This affiliation anticipates the release of Green’s first solo release With You In Mind, slated for a street date of January 20, 2009.